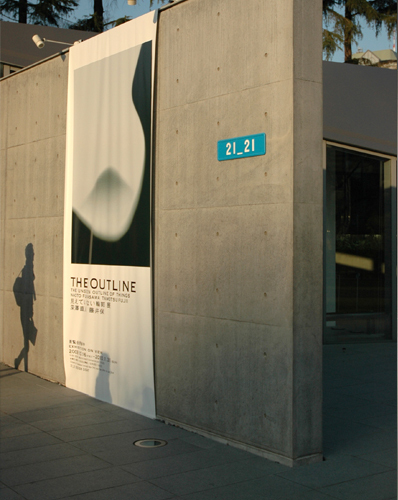 These photos are from one of the most beautiful design exhibitions I've seen: THE OUTLINE: THE UNSEEN OUTLINE OF THINGS by Naoto Fukasawa and Tamotsu Fujii in 2009. 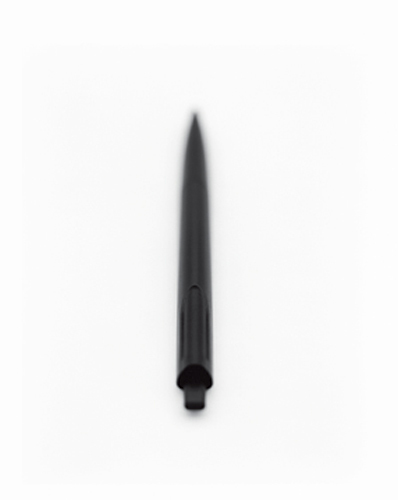 With Tamotsu Fujii's impactful photographs bring a new dimension to the great design pieces of Naoto Fukasawa. The photographs make the objects look like something abstract or even something totally different than what they are. Photos from here. An 'outline' is a contour of something. It is also the boundary that delineates an object and its surrounds. 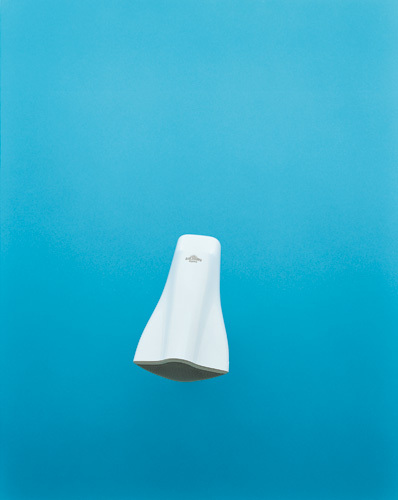 Since that which surrounds an object is air, the outline of a hole in the air that is shaped like an object is the same as the outline of the object itself. The air is also a metaphor for the atmosphere around that object. this air (atmosphere) is composed of everything that exists around the object – elements such as peoples’ experiences and memories; customs and gestures; time, circumstance and sound; technology and culture; and history and trends. Should even one of these elements change, and the outline of the object changes too. People share this outline of the air implicitly. My job is to determine this outline and to design something that slots right into it. 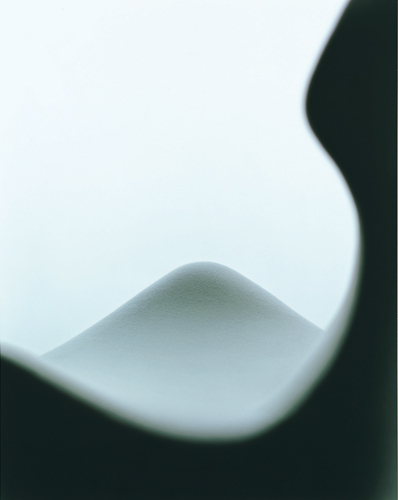 When I first saw Tamotsu Fujii's photos, I was surprised at the indistinct outline of things. But when I thought about it, I realized that since objects blend into air and light, their outlines can't clearly be seen by people. I was blown away by this fact. I thought, "Fujiitakes photos of scenery, even when he's photographing objects".He's captured both my designs and the air that surrouns them. Tamotsu Fujii sees the outlines that everyone knows yet cannot see. 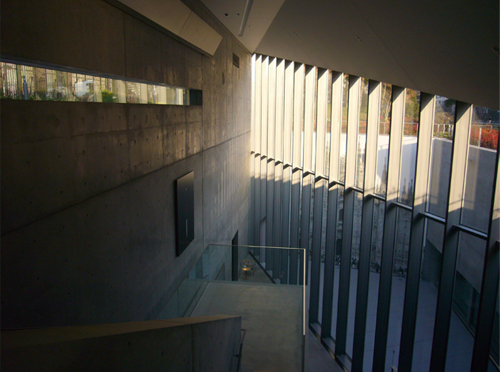 The exhibition venue was the amazing space of 21_21 Design Sight in Tokyo, designed by Tadao Ando. Together this exhibition space, the beautiful designs and simplistic photographs made a memorable impact. 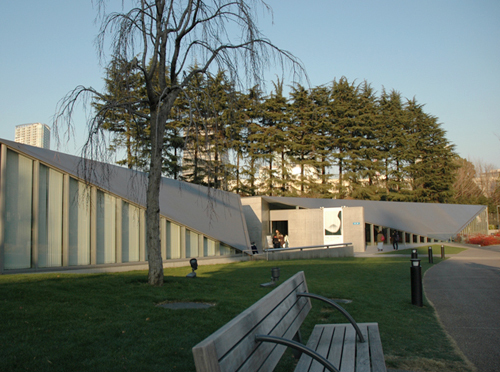 The exhibition book with all the great photos was one of the best buys of our Japan trip!